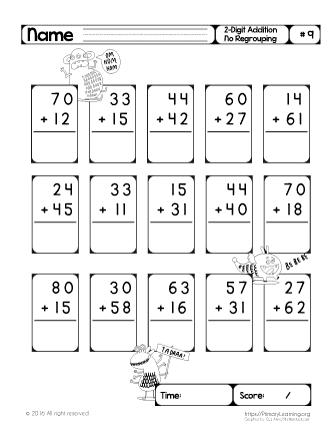 In this workbook, second-grade students practice double digit addition (with and without regrouping). 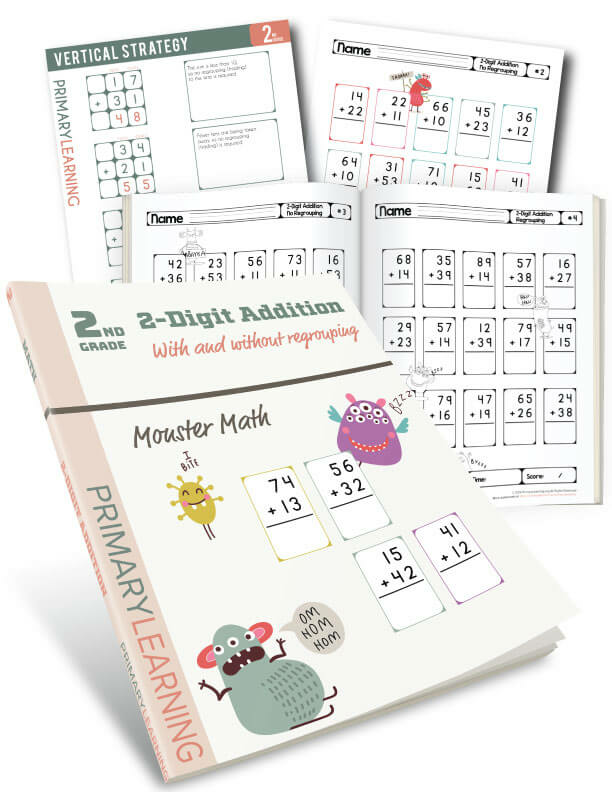 Your students will find here 40 addition problem with cute monsters. Each problem available in color or b&w version. 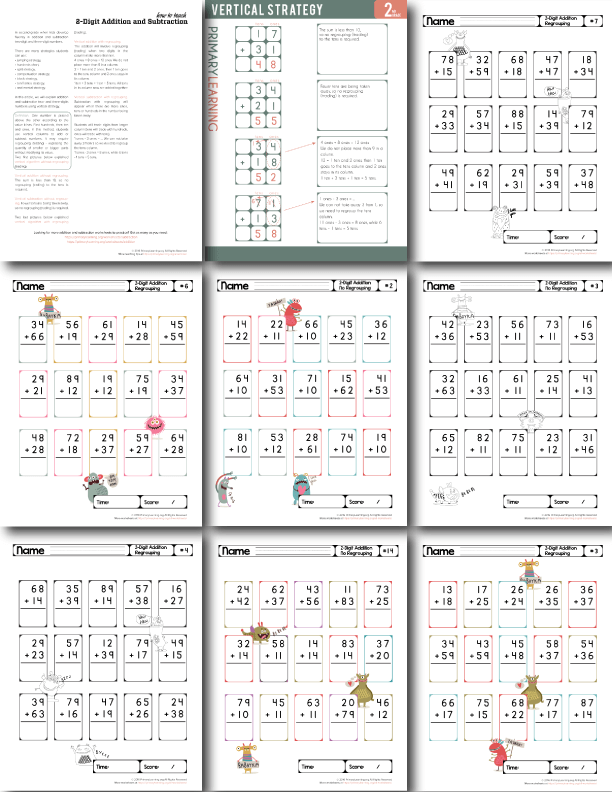 The vertical addition strategy chart is included. 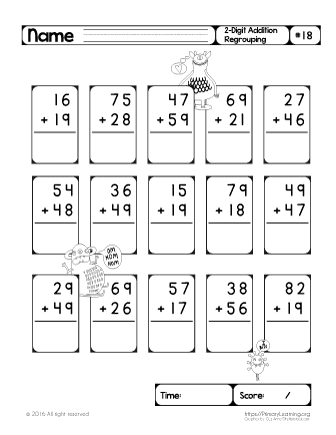 With this chart, students catch the concept very quick and work on building strong math skills. 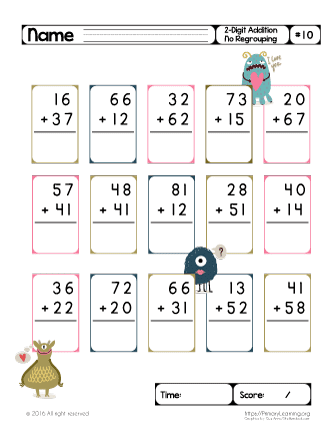 Math is not boring anymore! Vertical Strategy. With this chart, students review the concept. 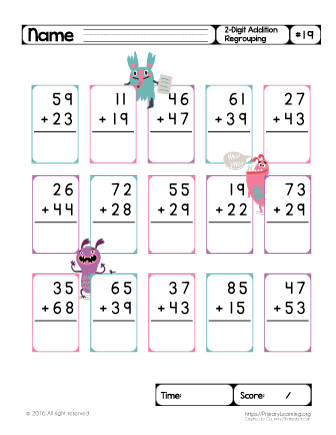 It helps students understand the concept and develop flexibility when solving addition problems. Students can use this chart as a reference at the beginning to develop good fluency skills.